Blissful and Domestic - Creating a Beautiful Life on Less: Reorganizing the fridge.. Afternoon lovelies! We just got back from a homeschool activity and I feel like we are all dragging a little bit. I guess all the fun wore us out. The baby is sleeping and the older kids are enjoying some downtime reading. With all this quite, I thought I'd hop on here and get a post ready for you. I also may be procrastinating the math lesson I have planned for today. Another few minutes of rest won't hurt right ::wink wink::? I have my grocery hauls for this month written out and filmed, I just need to edit the videos. I am hoping to get to that soon. Hopefully ya know before September is over. Fingers crossed on that one. Since I still have videos to edit, I decided to share a quick post about how I reorganize my fridge throughout the month to keep food waste at a minimum and things nice and clean. Every week I take a good 20 minutes and I reorganize the fridge. I look at what leftovers we have, what produce needs to be used up, and I check out what condiments are nearing their expiration date. As I go through the leftovers, I make plans for the items. If I have leftover meat, I try to plan it for a meal in the upcoming days. 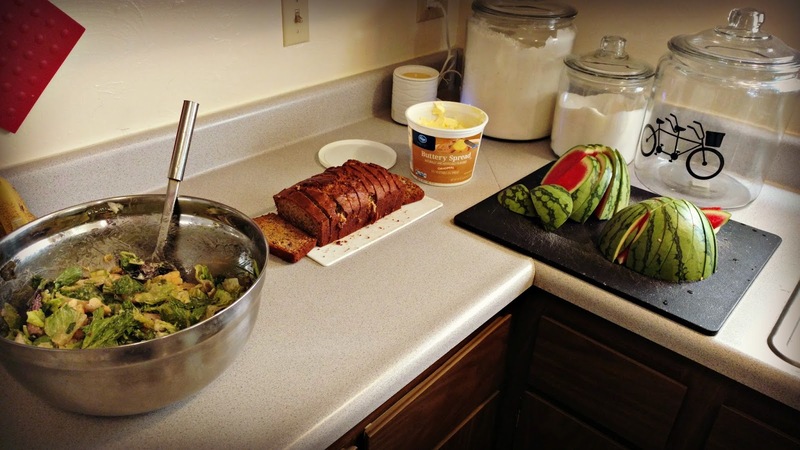 Leftover meat can be thrown into salads or casseroles. If I am not able to use the meat right away, then I freeze it for later use. Today I froze a cup of leftover taco meat. I will use it in a Mexican pizza next month. I also froze leftover pasta sauce, ground sausage, and enchilada sauce to be used later as well. I'm thinking a supreme pizza and some type of enchilada casserole will be on the menu plan next month. If I have veggies that are leftover, I do the same. I actually have a bag in my freezer, where I put leftover veggies. Once the bag is full, I use it to make veggie soup. I clean up any spills in the fridge and restock pudding cups, applesauce, cheese, deli meat, etc as needed. I basically shop my pantry or freezer to restock. 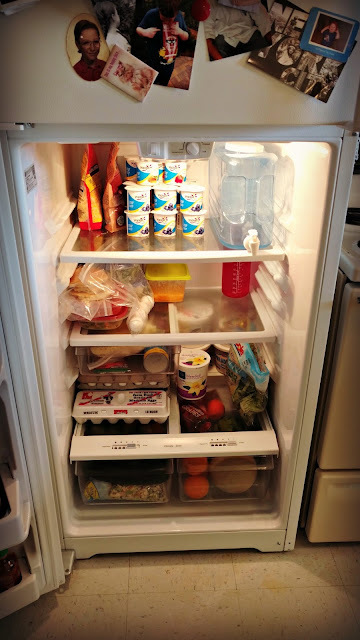 Shopping my pantry and freezer allows me to go longer between shopping trips. Taking just twenty minutes (or less for normal people. 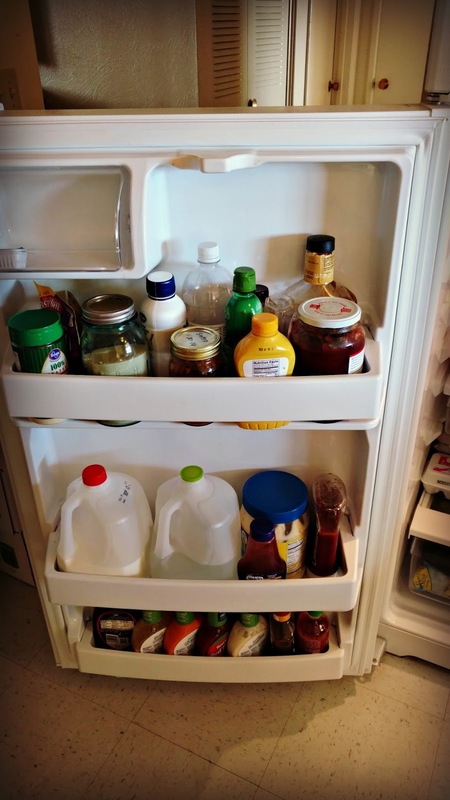 I'm an OCD cleaner when it comes to the fridge) a week, allows me to get organized. 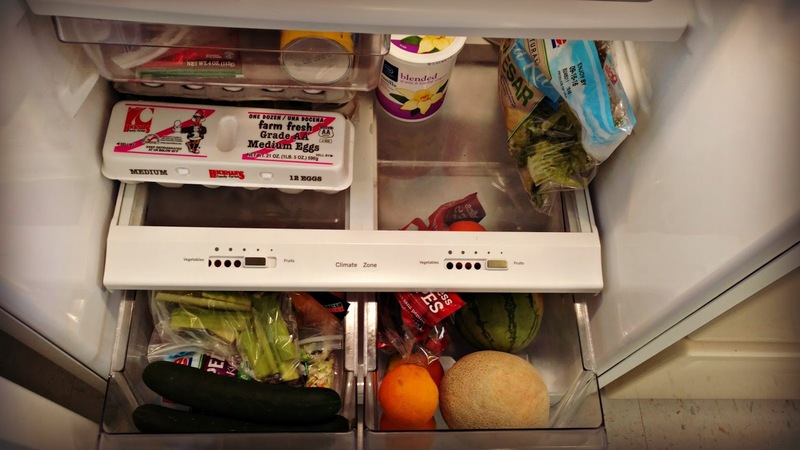 I find that keeping things in order allows me to prevent food waste, which ultimately saves us money. How do you guys rotate things in the fridge? What do use to freeze leftovers in? Baggies, plastic bowls, glass bowls? Do you feel one works better than the other? I've used some of my plastic bowls and the lids freeze stuck. I've seen people use glass, but I just assumed it'd break.